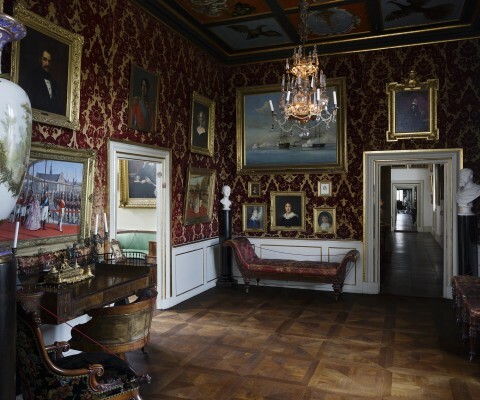 ROOM 18: This room, which mainly contains exhibits with a connection to the life and government of Frederik VII, was designed only five years after Frederik VII’s death in 1863. The fact that the the museum of Rosenborg Palace contained then contemporary pieces, attracted international attention. The room gained its current shape during the conversion by Frederik IV, along with Christian VIII’s Room, at the beginning of the 18th century. Part of the ceiling in both rooms dates back to the time of Christian IV. The velvet tapestries were purchased in 1728 in Venice for Copenhagen Castle and transferred to Rosenborg in the 1750’s. 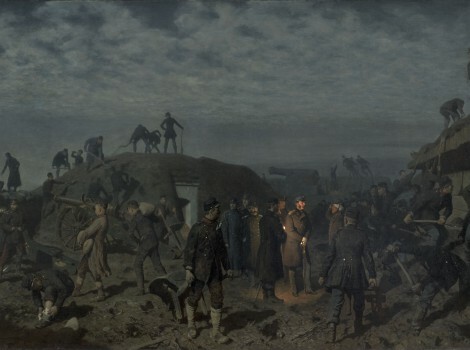 The furniture, pictures and other exhibits relate mainly to the period between the two Schleswig Wars (1848-1851 and 1864); however, several items are mementos from the time before Frederik became King. From an art-historical viewpoint they illustrate the tendency to revive the styles of bygone ages. 1801. The Landgrave Vilhelm of Hesse Cassel (1787 1867), married to Christian VIII’s sister, Princess Louise Charlotte, Danish general and Governor of Copenhagen. Signed: C.A. Jensen, Petersburg, 1844. 1802. Princess Caroline (1793-1881), daughter of Frederik VII, consort of Prince Ferdinand, the Heir Presumptive. Signed: A. Schiött, 1854. 1803. 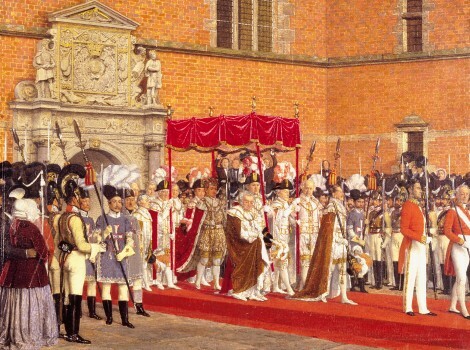 Prince Frederik (VII)’s and Princess Mariane’s wedding procession in Copenhagen 22nd June 1841. Signed: C. Balsgaard 1843. 1804. Frederik VII as a child. Modelled by Bertel Thorvaldsen 1820, carved in marble 1825. 1805. 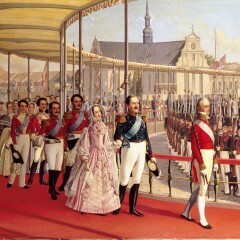 Princess Mariane arriving in the Roads of Copenhagen, 22nd June 1841, on board the warship “Christian VII”. Signed: A. Melbye, Copenhagen 1844. 1806. Frederik VII as a child. Silver pencil drawing, signed: Heuer del. 1810. 1807. Portrait of Frederik VII as a child. Pastel by C. Hornemann. 1808. Frederik VII as a boy. Painting signed: Kratzenstein Stub 1813. 1809. Portrait of Frederik VII as a boy. Pastel by C. Hornemann. 1810. 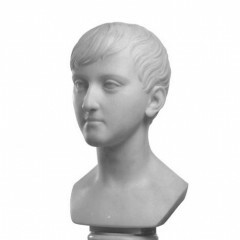 Frederik VII as a boy, signed: F.C. Grøger 1814. 1811. Frederik VII’s couch: mahogany, with red Morocco leather covering. 1812. Lensgrevinde Danner, Frederik VII’s tredje hustru. Maleri udført af Carl Rudolph Fiebig efter fotografi fra o. 1865. 1813. Frederik VII. Biscuit bust, after H.V. Bissen. 1814. Frederik VII; three quarter length, signed: I. Vilhelm Gertner, pinx. 1861. 1815. Frederik VII. Terracotta medallion after H. Conradsen. 1816. Frederik VII. Ivory miniature, signed: C. Bøgh 1852. 1817. Frederik VII as Crown Prince. Profile drawing, signed: I. Vilhelm Gertner fec. 1841. 1819. Princess Charlotte of Mecklenburg Schwerin (1784 1840), Frederik VII’s mother. Silhouette. 1820. The engagement ring of Frederik VII: bears the inscription: 28th May 1826. Vilh. Marie. Prs. of Denm. 1821. The engagement ring of Princess Vilhelmine; bears the inscription: 28th of May 1826, Fr. Carl Chr., Pr. of Denm. 1822. Gold ring with the inscription: Caroline 4th December 1840. Worn by Frederik VII as Prince when he was betrothed to Princess Caroline Charlotte Mariane of Mecklenburg Strelitz. 1823. Enamelled gold ring, engraved with the letter M; supposed to have belonged to Princess Mariane. 1824. Princess Mariane’s seal, with the coats-of-arms of Denmark and Mecklenburg, carved in a smoky topaz. 1825. Frederik VII’s red fez. 1826. Frederik VII’s pipe, marked: 18 Madera Touren 46. 1827. Frederik VII’s fishing tackle; floats were originally pomanders. 1828. 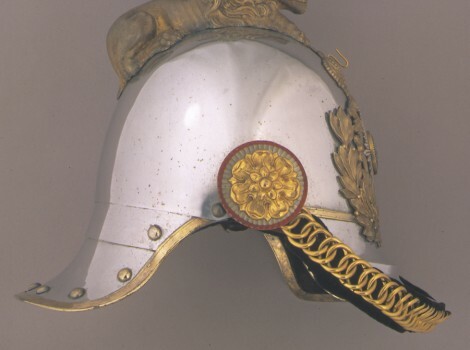 Frederik VII’s general’s helmet of aluminium, made by J.B. Dalhoff c. 1859, when lightweight aluminium was a new and very precious metal. 1829. Commemoration medal for Norwegian and Swedish volunteers in the war 1848-50. 1830. 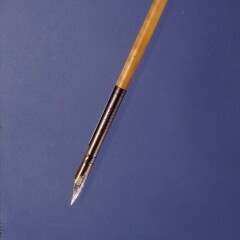 The pen with which Frederik VII signed the Constitution on 5th June, 1849. 1831. Gold watch, made by Carl Edward Schiötz, presented to Jens Hoff, the riding master, by Frederik VII. 1832. 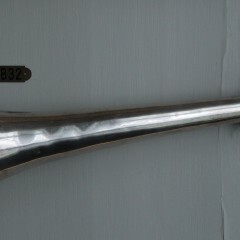 Frederik VII’s speaking trumpet, of German silver. 1833. The Freemasons’ medal commemorating the death of Frederik VII. 1834. A lock of Frederik VII’s hair; from his death bed. 1840. Frederik VII as Prince. By unknown artist. 1841. Frederik VII. Drawing, signed: W. Heuer 1825. 1842. The Landgrave Carl of Hesse, drawn by Frederik VII, 1833. 1843. Frederik VII’s arm chair with leaf/drawing board? 1844. Two large Sèvres vases presented to Frederik VII by the Emperor Napoleon III. 1846. Frederik VII as Prince presumalby drawn by Mlle. Romili in Geneva 1827. 1850. Grand Cross and Insignia of the French Legion of Honour. 1851. Grand Cross and Insignia of the Hanoverian Order of St. George. 1852. Grand Cross of the Sicilian St. Januarii Order. 1853. Grand Cross and Insignia of the Military William Order of the Netherlands. 1854. Grand Cross of the Italian Annunziata Order. 1855. Grand Cross and Insignia of the Hanoverian Order of Guelph. 1856. Grand Cross and Insignia of the Belgian Leopold Order. 1857. Insignia of the Norwegian Order of St. Olaf. 1858. Insignia of the Swedish Order of Seraphim. 1859. Grand Cross of the Prussian Order of the Black Eagle. 1860. Grand Cross of the Russian Order of St. Andreas. 1861. Insignia of the Russian Order of Alexander Nevsky. 1862. Insignia of the Russian Order of St. Anna. 1863. Collar, Insignia, and Star of the Russian Order of St. Andreas. 1864. 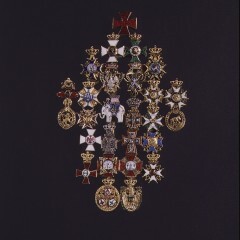 Austro Hungarian Order of St. Stephen. 1865. – 1867. Grand Cross, Star, and Officer’s Cross of the French Legion of Honour; found among the ruins of Frederiksborg Castle after the fire in 1859. 1868. Insignia of the Swedish Order of the Sword. 1869. 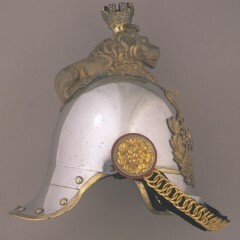 Collar and Insignia of the Swedish Vasa Order. 1870. Frederik VII’s Order of the Freemasons. 1871. Frederik VII, painted by C.A. 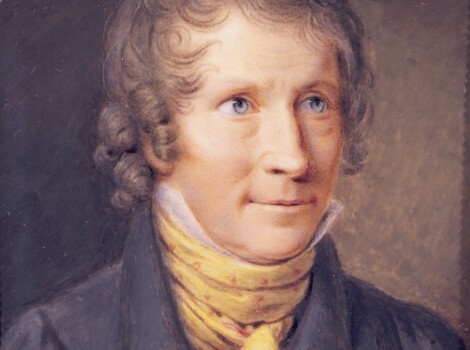 Jensen, 1820s. 1872. Frederik VII’s fishing rod. 1873. 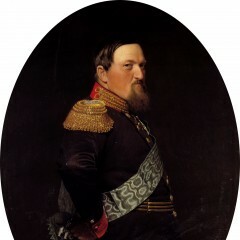 Frederik VII in admiral’s uniform, painted by H.A.G. 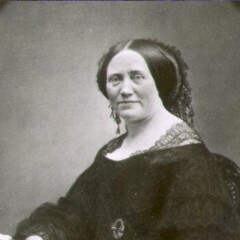 Schiött c. 1850. 1874. Princess Mariane, Frederik VII’s second wife. Coloured drawing, signed J.S. Otto 1841. 1875. 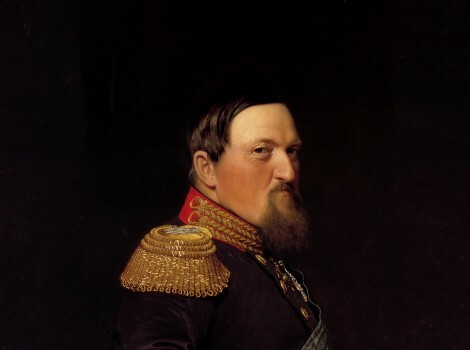 Prince Frederik Ferdinand, the Heir Presumptive (1792-1863), uncle and brother in law of Frederik VII. Signed: A. Schiött. 1853. 1876. Prince Frederik (VII)’s and Princess Mariane’s wedding procession in Copenhagen, 22nd June 1841. Signed: C. Balsgaard 1845. 1877. Frederik VII’s desk; a present from King Frederik Wilhelm IV of Prussia. 1878. Countess Danner, Frederik VII’s morganatic wife, coloured photograph. 1879. The frigate “Sjælland”. Model, carved in wood. 1880. Princess Charlotte, mother of Frederik VII. Photograph of drawing. Jørgen Dalhoff was a modeller and artisan. He was born on the island of Falster and was apprenticed as a goldsmith in 1815. He later studied at the ornament school of the Academy of Arts. 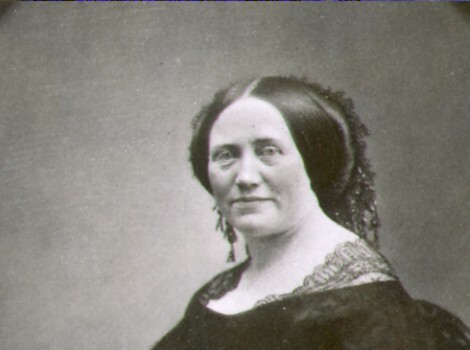 Countess Danner, originally Louise Rasmussen, was the wife of Frederik VII from 1850. Louise Rasmussen was an illegitimate child. She was trained as a ballet dancer at the Royal Theatre.